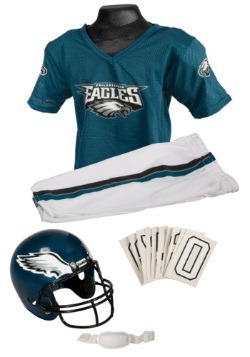 Fly Eagles, Fly! There's not going to be a break for Christmas this year. Because while, yes, you are going to enjoy the holidays to the fullest, you're also going to relishing the fact that your favorite NFL squad is in great shape for the playoffs. The best way to celebrate that fact come December? 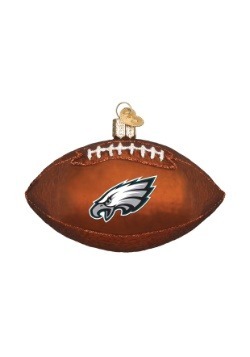 Add this NFL Eagles helmet shaped glass ornament to your decor! That's right, this helmet is going to look fantastic on your Christmas Tree. 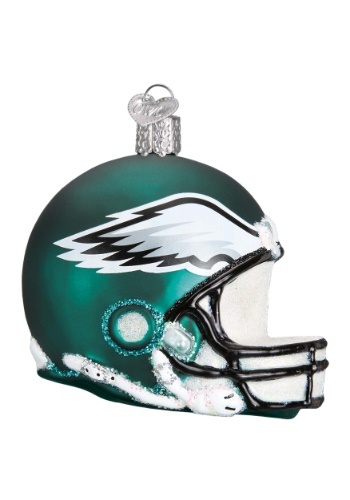 NFL officially licensed, this ornament comes to us from Old World Christmas, and it features signature helmet details from the Philadelphia Eagles. The hand-blown glass ornament is shaped just like a helmet, and it features the signature wing design that the team wears on the field. It also has glitter details for a little extra shine when it's on the tree. Get this ornament to show off your fan style, or give it as a gift it to the biggest fan in your family!